Aikido Fitness and Security is a Martial Arts School offering Aiki Jitsu (Aikijutsu), Aikido, Iaido & Jiu-Jitsu (Jujutsu/Jujitsu) classes in Modesto, CA for kids, men and women. 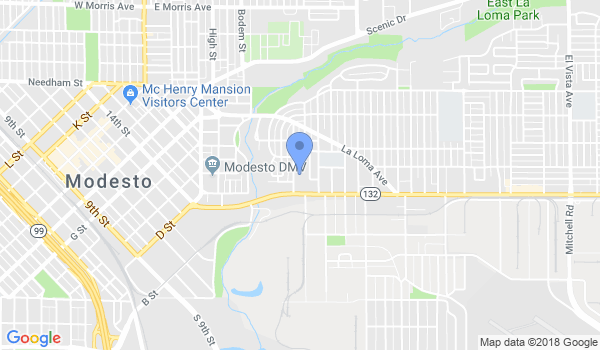 Aikido Fitness and Security is Located at 130 Las Flores Ave.
View a Location Map, get Directions, Contact Aikido Fitness and Security or view program details below. If you are a student at this school, help your local Martial Arts Community by writing a Review of Aikido Fitness and Security. You can also help your school by sharing it on Facebook, Twitter, Google+, Pinterest etc. Aikido Fitness and Security is dedicated to excellent instruction in the areas of personal fitness and Martial Arts. We have programs that fit every fitness level and welcome anyone with a desire to transform their life both physically and spiritually. Would you like more information on hours, classes and programs available at Aikido Fitness and Security? Please contact the school with your questions. Update the details, Write a Review or Report Error of Aikido Fitness and Security. View all Dojo in Modesto or in Zip code 95354.